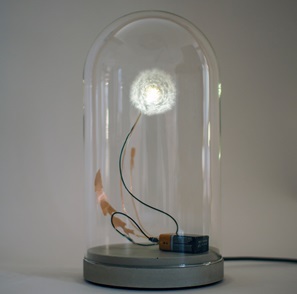 The electrical Dandelight comes with a hand cast cement pedestal where a electrical cord is attached. You can plug it into a socket. The battery attached to the concrete base only functions as a design element. 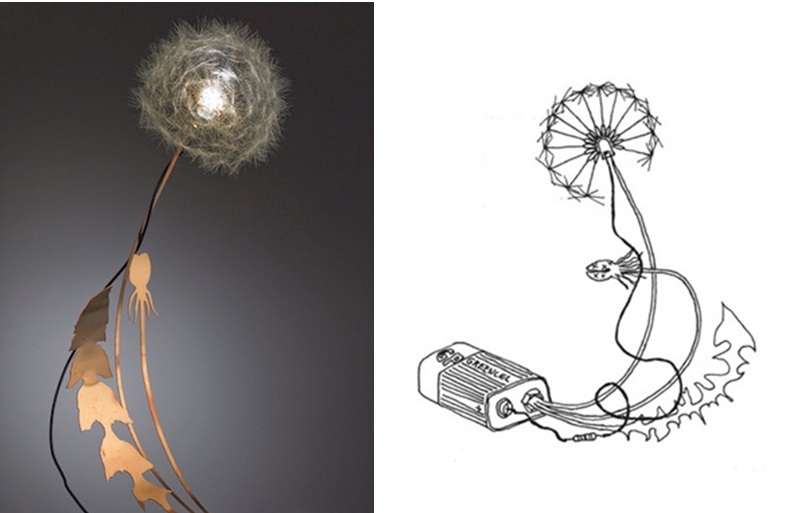 Dandelight is a magical ' Dandelion ' light. 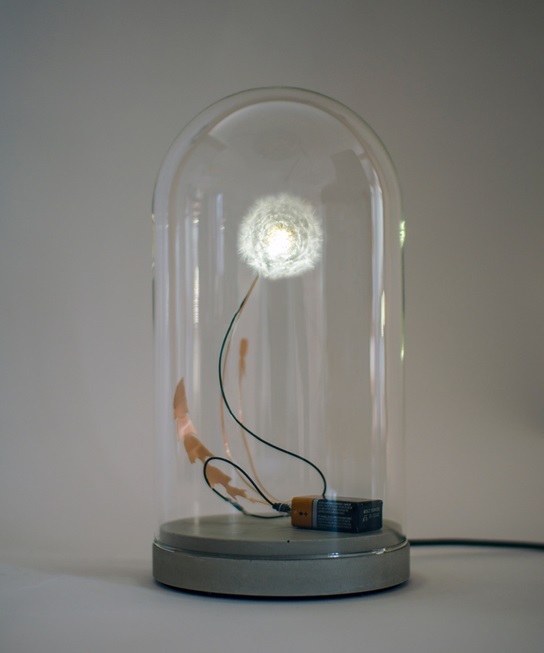 A light sculpture! 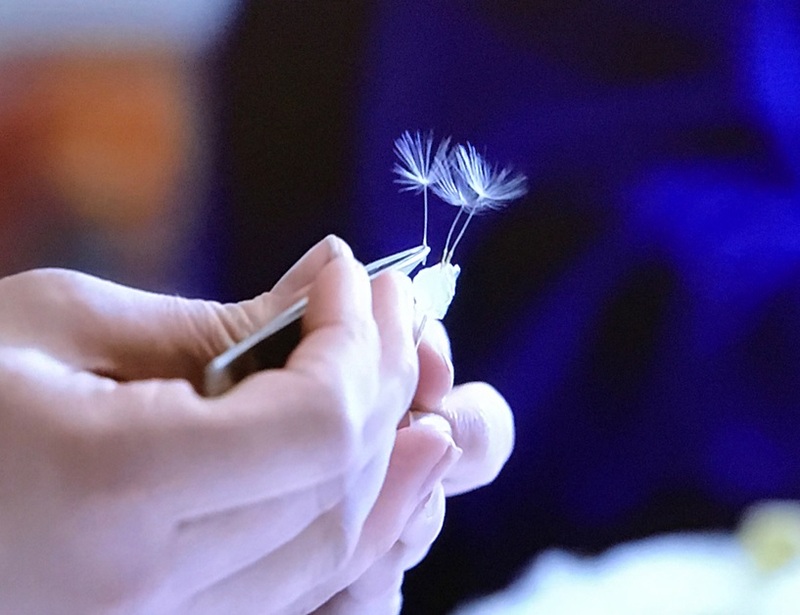 Real dandelion fluff are hand-1 for 1 stuck on a led lamp. Very labor intensive! 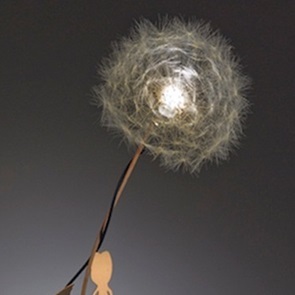 On a stalk with leaves of copper glows this fairy-like design. Beautiful combination of technology and nature. Designed by designer Lonneke Curtain and Ralph Nauta of studio Drift. 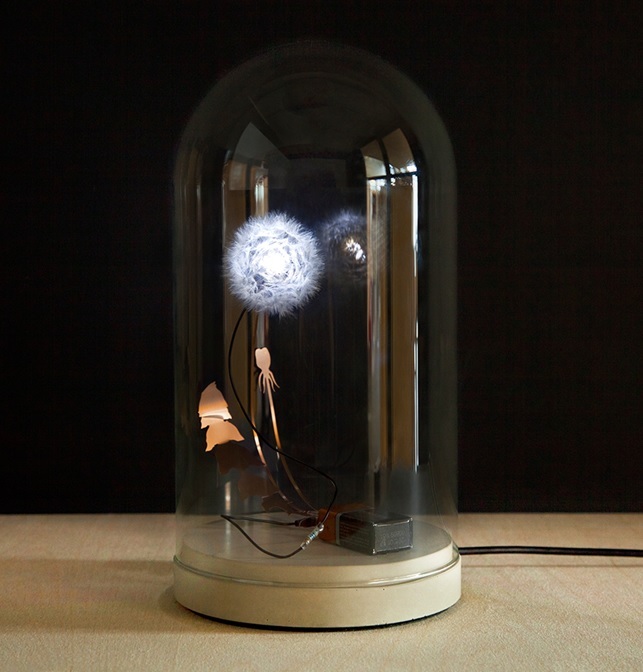 size Dandelight with dome ; width 14 cm. and hight approxm. 28 cm. Delivery time: ships in 1 to 3 business days.